The sanctuary of St. Paul’s Episcopal Church in Brookline well supports an intimate concert, and last night’s proved ideal: Bach and new music. It is always a pleasure to follow the imaginative trajectory of the Winsor Chamber Music Series, which Peggy Pearson has organized so well for 20 years (she will step down this year as artistic director but continue to be involved as oboist, and she is, I continue to assert, one of the finest oboists there is). John Harbison, speaking at intermission, paid warm tribute to the importance of the new repertory for oboe and strings that has been notably enlarged by the Winsor programs and activities. 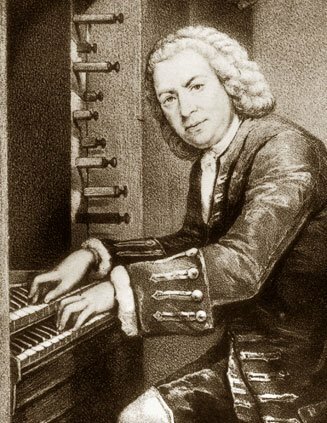 The Schmieder catalog describes Bach’s Concerto in C Minor for oboe, violin and strings, BWV 1060, as a reconstruction of a lost concerto from its surviving form for two harpsichords. It might have been meant originally as a concerto for two violins, but the oboe-violin version is how everyone knows it today. We heard a well-rounded and animated interpretation, with an especially smooth and laid-back slow movement and a brisk finale, faster than usual perhaps but fully convincing. Peggy Pearson shared the duo role with Njioma Grevious, age 17, a thoroughly confident and mature violinist who has played all over Europe and America as well as at President Obama’s White House. The 34-year-old British composer Charlotte Bray wasn’t present to hear the premiere of her Winsor commission, but she would have lauded the meticulous execution of her Bluer than Midnight for oboe, violin, viola and cello. In three short and loosely tonal movements, “Intimate” was a study in slow, sustained notes, midrange to high, including some interesting Klangfarben unisons for cello and oboe. “Expressive” began with a solo oboe that merged with the viola to become a duet, and the pattern continued until the four instruments were exposed in pairs one after the other; the cello solo, by Winsor veteran Rafael Popper-Keizer, was particularly eloquent. “Frenetic” featured repeated staccato notes in fast 6/8, with wide-ranging melody; there might have been a high G for the oboe, a dangerous but fearless parapet in sound. Gabriela Diaz, who will co-direct Winsor next season, appeared as solo violinist in the Boston premiere of John Harbison’s three-year-old For Violin Alone. The composer confessed what we all knew anyway—no one composing for unaccompanied violin can escape Bach’s solo violin sonatas and partitas—but also that he imagined “placing myself as often as I can in the space of the listener,” who is ever aware that there is no sonic support below G. The six movements of this 22-minute work succeed with vigor and even massive power without romantic flashiness, and Diaz carried it off with no hesitation. The individual movements are as distinctive as their titles suggest. “Ground” features sweet parallel thirds in G; “Dance” in 4/4 was marked by a staccato rhythmic motive, offset by crunchy chords. “Air”, in C major, hung on an attractive stepwise melody with recurrent fragments. “March” is more chromatic, with some amusing glisses, but balanced by sudden octaves that were dramatic in their quiet understatement. “Dance 2″, in 3/4, contrasted with the earlier “Dance” with big skips and mazurka-like rhythm, and went fearlessly up to high G (13th position), while the final movement, “Duet,” with appended “Epilogue,” had an opposition of parallel sixths in G (compare “Ground”) with a genuine two-part dialogue, a sustained tone on one string while the adjacent string carries the melody, and then the two parts switching sides. These were a gratifying 22 minutes, every one of them interesting. A two-minute congregational choir rehearsal of the chorale Freu’ dich sehr, o meine Seele preceded the beginning of the cantata, which everybody was to join the end. Harbison described Bach’s Cantata No. 32, “Liebster Jesu, mein Verlangen” as “the most satisfying of the duet cantatas.” Soprano Kendra Colton and baritone Paul Tipton took the two parts. There is a solo aria for each (with oboe obbligato for the soprano; violin, played beautifully by Heather Braun, for the baritone), with recitatives in between, and a duet aria (“Nun verschwinden alle Plagen”) before the final chorale. The entire performance was especially enriching because of the chamber-music like feel to the ensemble. And here is the right place to thank the remaining players, including the ripieno: Heather Braun and (Gabriela Diaz), violins; Noriko Herndon, viola; Rafael Popper-Keizer, cello; Robb Aistrup, bass; and Michael Sponseller, harpsichord. A fine job for a fine occasion. Afterword: for a larger scaled works in this warm but relatively small sanctuary, as for instance of a Bach choral cantata, the organ might be used. I haven’t heard it but it looks impressive: two manuals, 31 stops including several reeds; Opus 43 by George Bozeman of Deerfield, New Hampshire, master builder of tracker-action instruments.